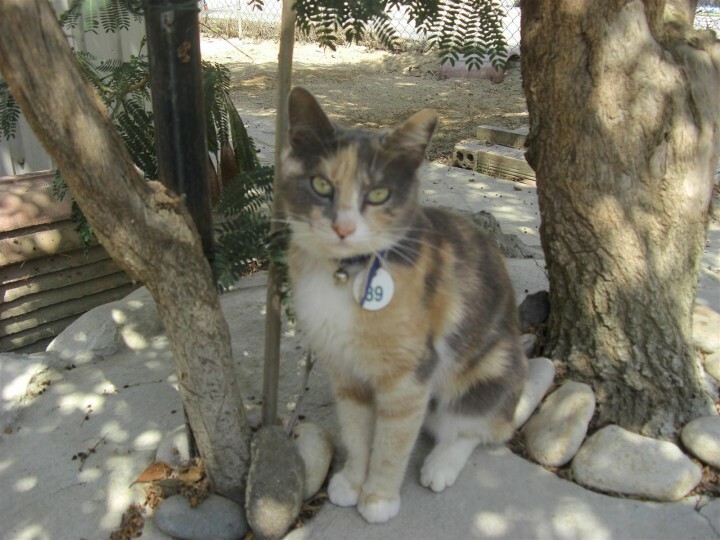 Bonnie wears Collar no 89 at the sanctuary & is such a pretty sweet natured little cat. She has been spayed & is what we call a Calico with her markings. She is a lovely natured young cat & would love a home. Could you help home her?